Get your students excited to read! 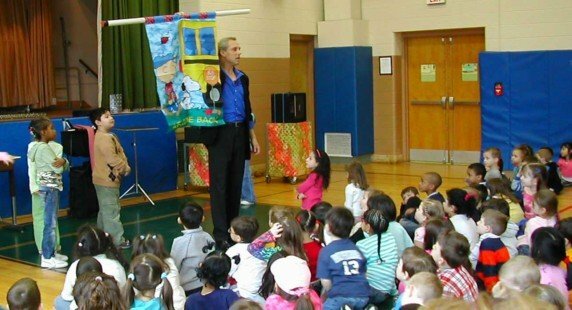 Using magic and illusion, James takes kids on the adventure of reading, introducing them to fiction classics, the rewards of non-fiction, and letting them know that between the covers of books there is pure magic to be found! They’ll journey, literally, through a looking glass, as a mirror is penetrated, and once in Wonderland they’ll see Pinocchio’s nose grow, see Merlin or Harry Potter do amazing magic…and more!